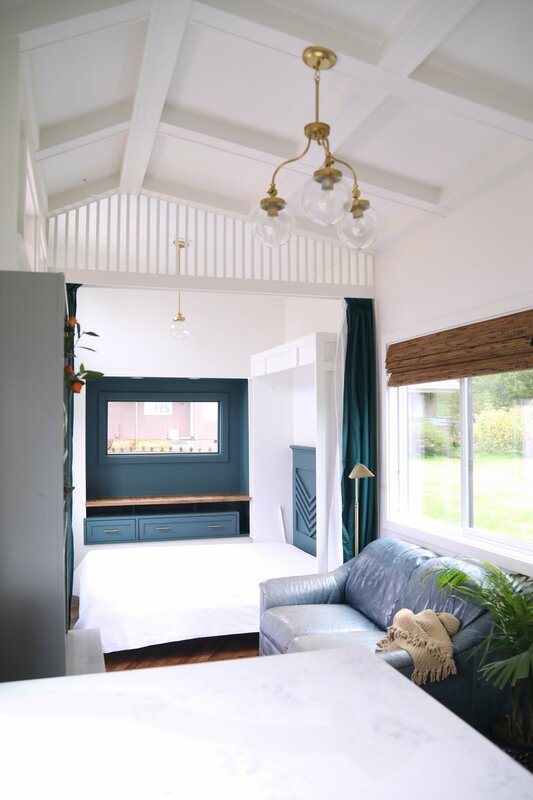 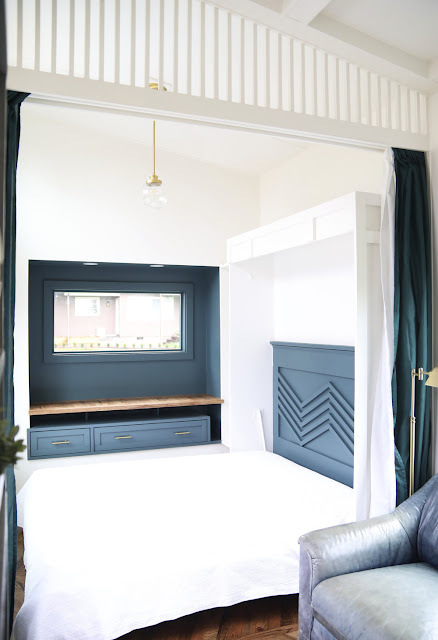 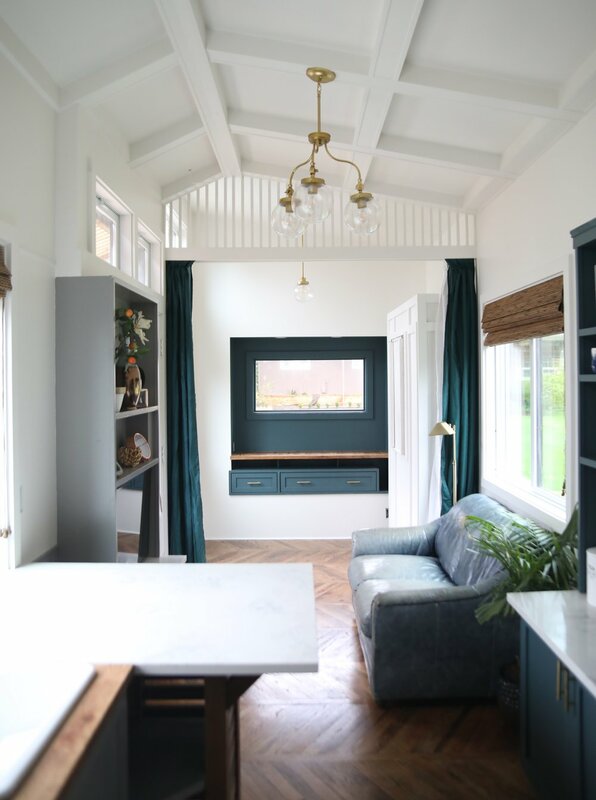 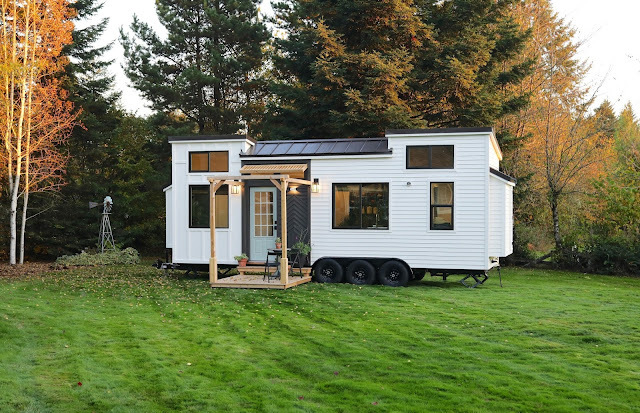 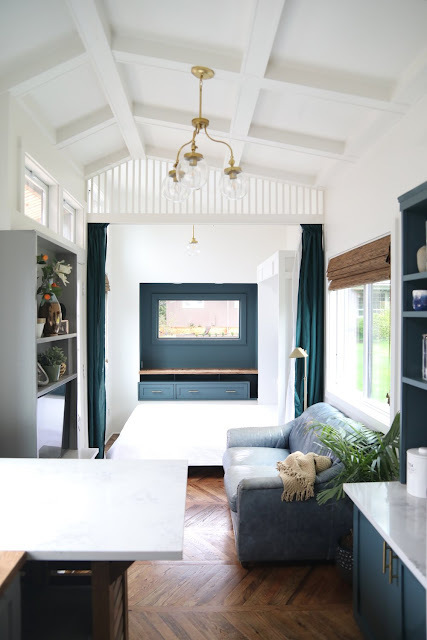 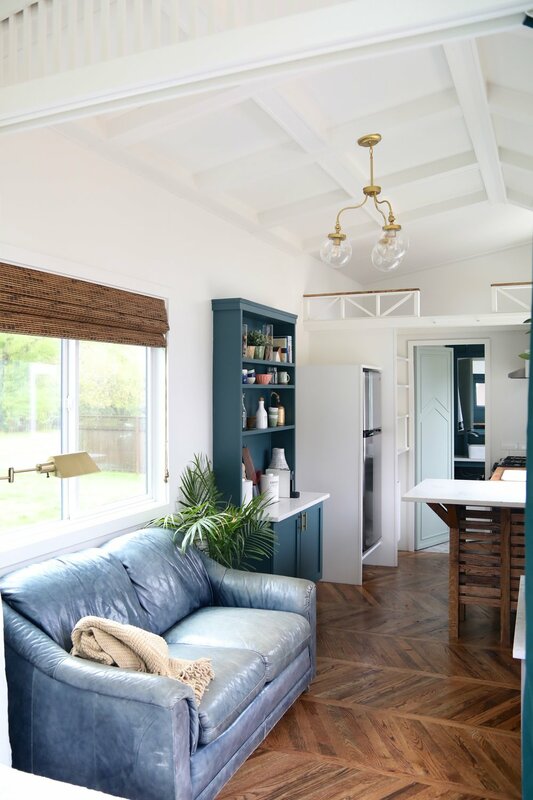 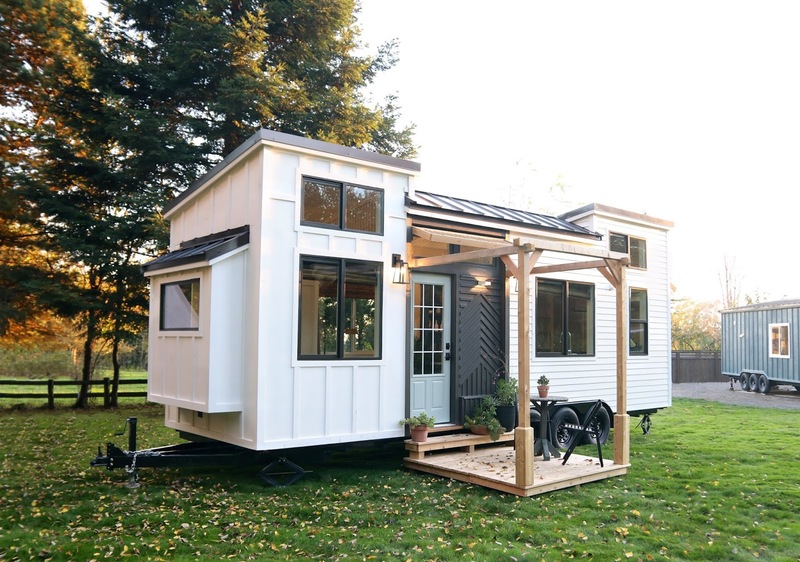 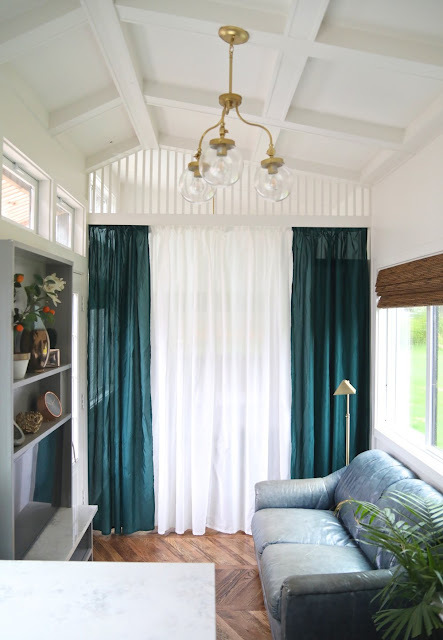 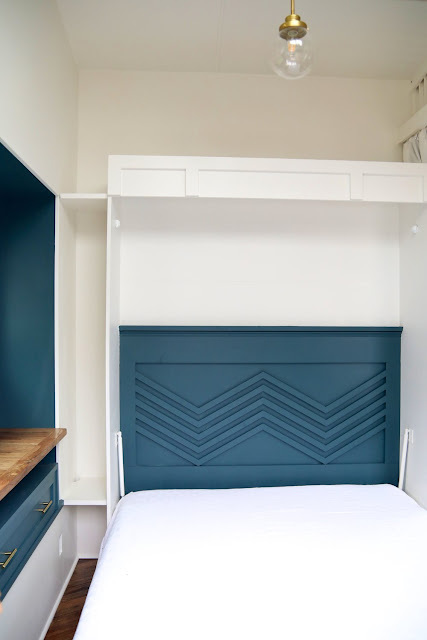 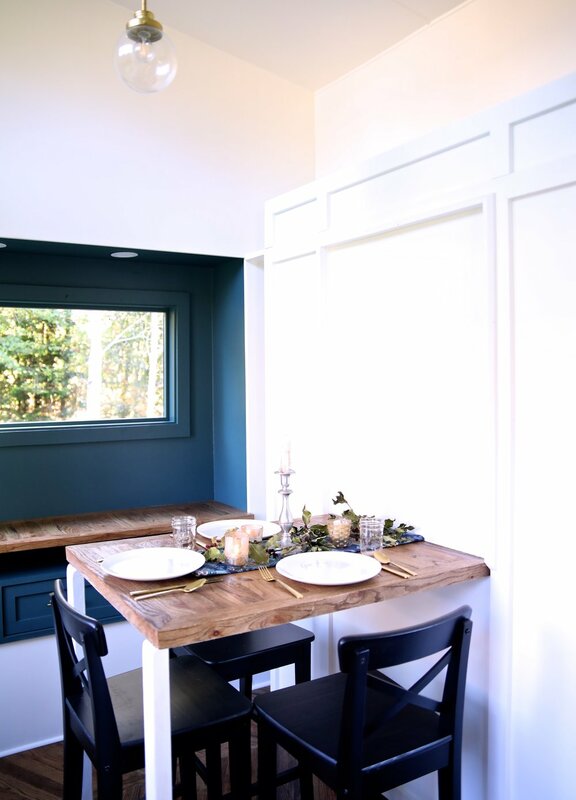 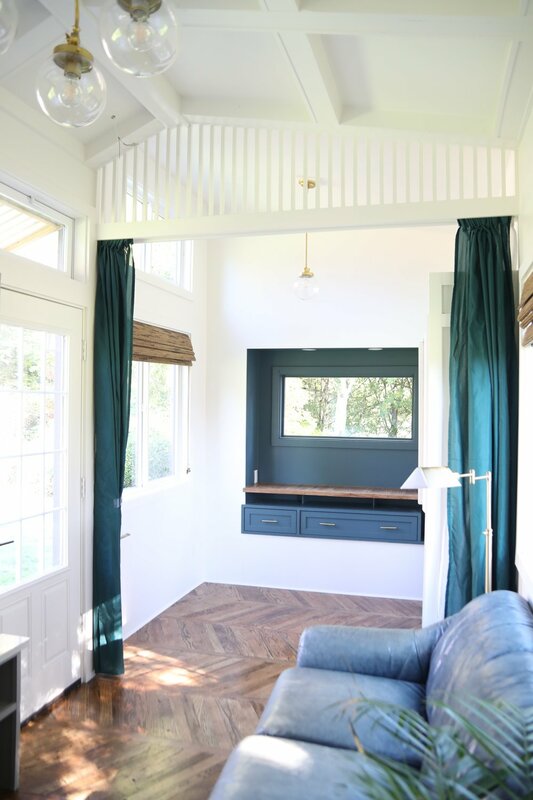 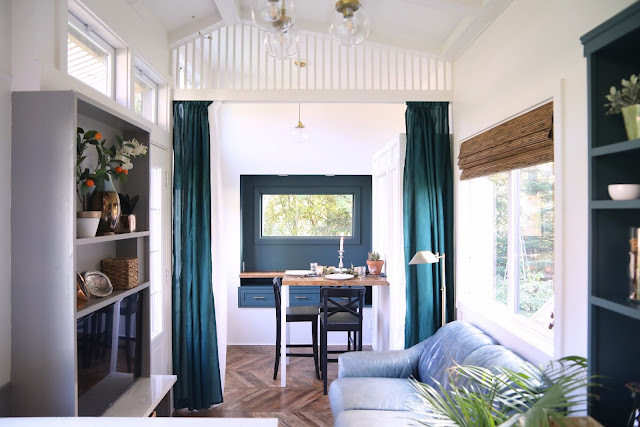 From Handcrafted Movement is this gorgeous, luxe tiny house that would make any head stop and do a double-take. 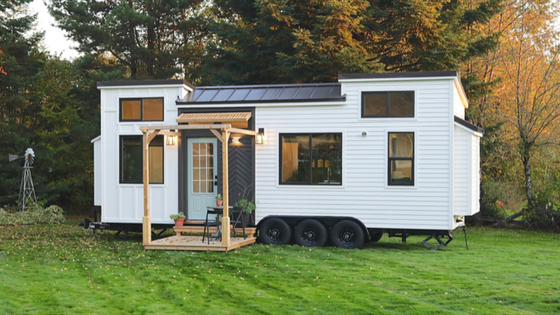 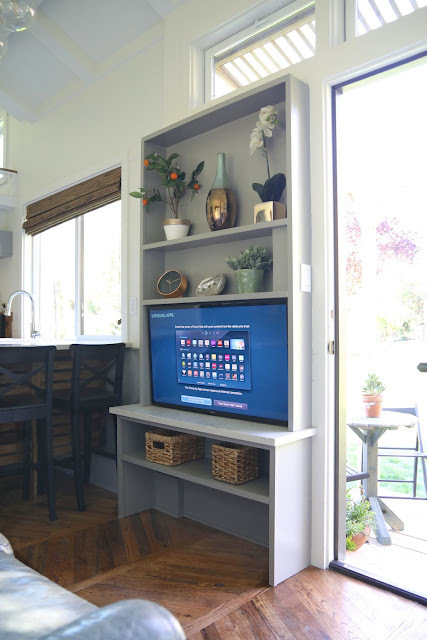 Even though it measures just 28’ x 8.5’ there’s no shortage of home comforts and style inside and out! Dubbed the “Pacific Harmony”, the home features a simple white board and batten siding with Pacific Cedar accents and a standing seam metal roof. 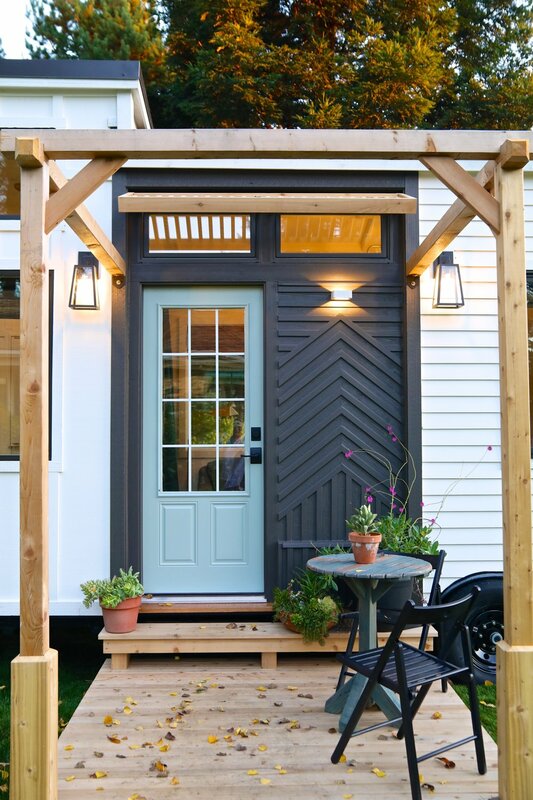 There’s even an exterior deck, cedar posts, a swing, and table and chairs included to make the front of the home as cozy and inviting as any traditional front porch. To make the house optimal for travel there are built-in leveling jacks, trailer brakes, road lighting, and a sealed aluminum floor pan. 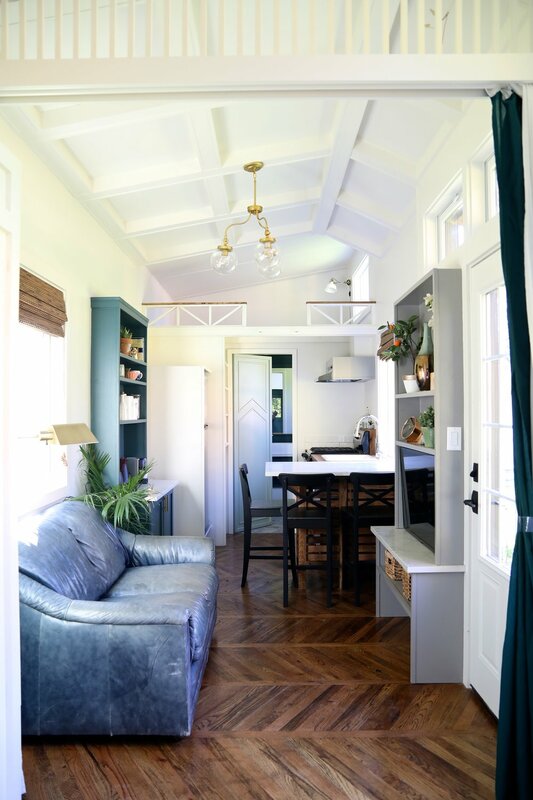 Inside the Pacific Harmony is a bright, cozy space with solid oak flooring throughout. The main floor features a master bedroom with a Murphy bed and queen memory foam mattress, a kitchen, living room with a 40” Smart TV, and a bathroom. 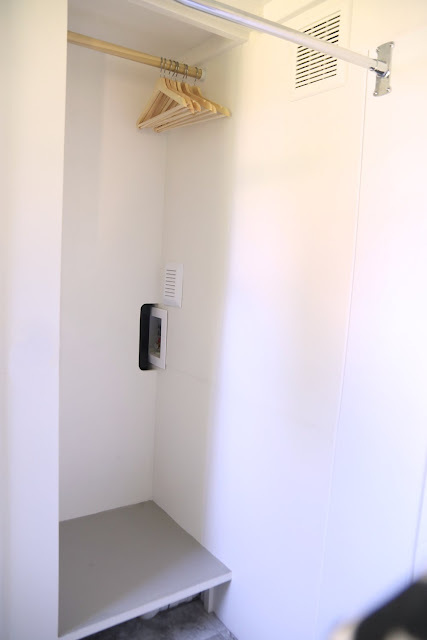 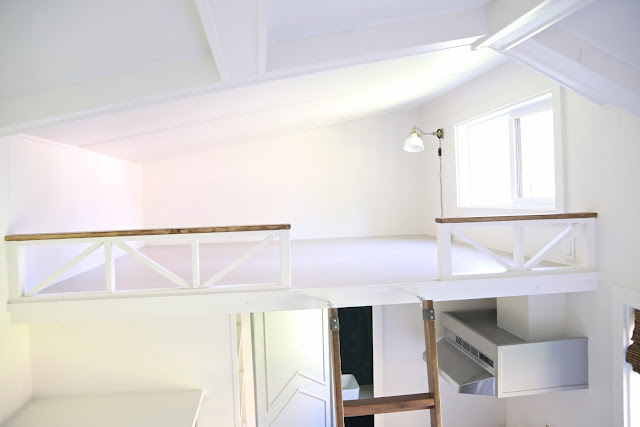 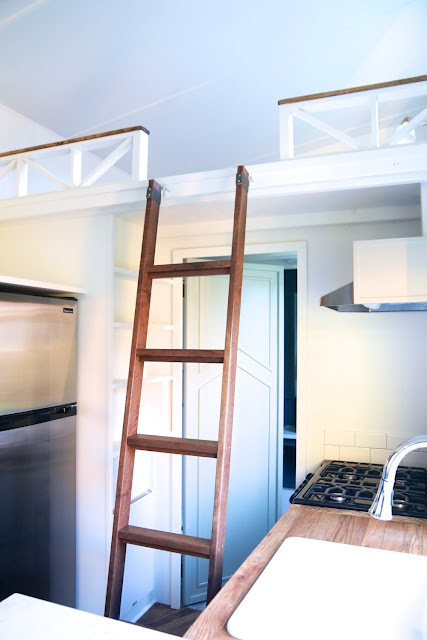 There’s also a ladder-accessible loft bedroom that’s perfect for guests, a second bedroom, or storage! 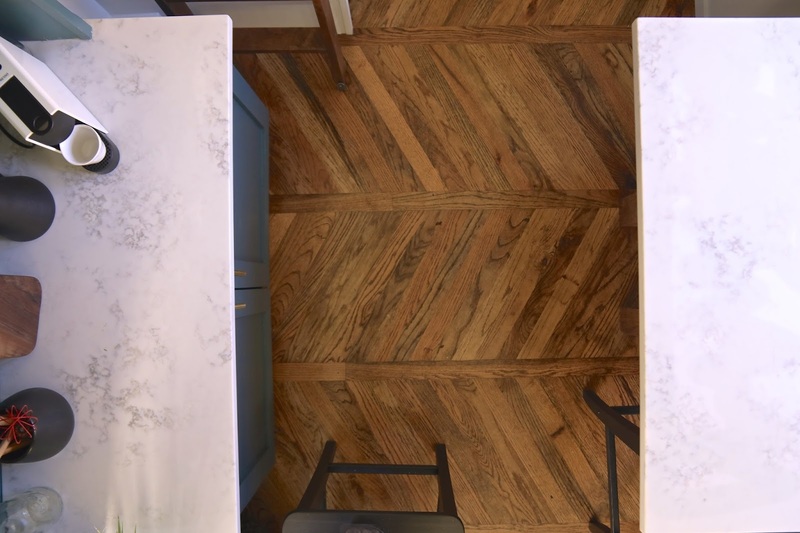 The kitchen comes outfitted with countertops composed of quartz stone and oak. 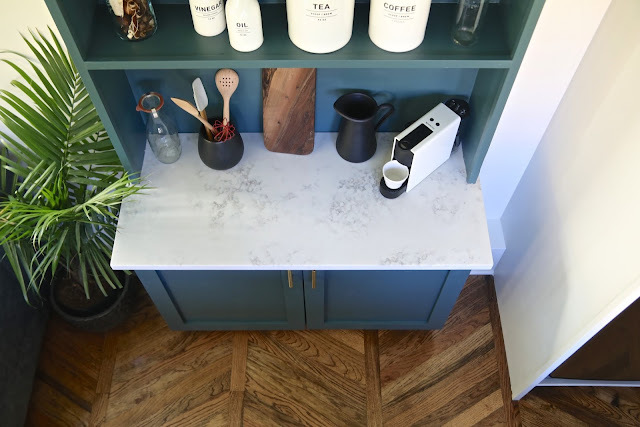 There’s also a breakfast bar with a quartz top and three bar stools included. 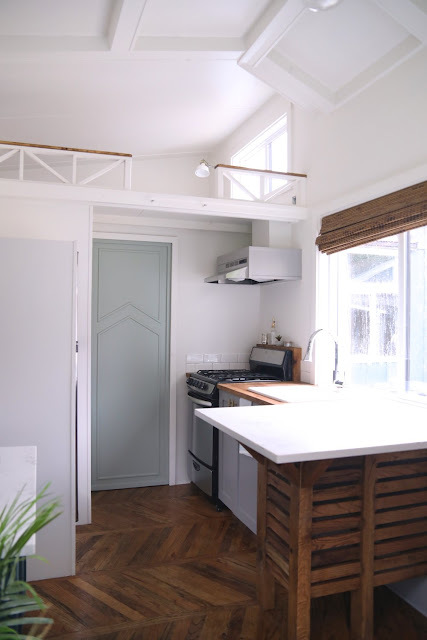 For appliances, Handcrafted Movement included a stainless steel 24” four-burner gas range, an exterior vented hood fan with LED lighting, and an energy efficient refrigerator/freezer with auto defrost. 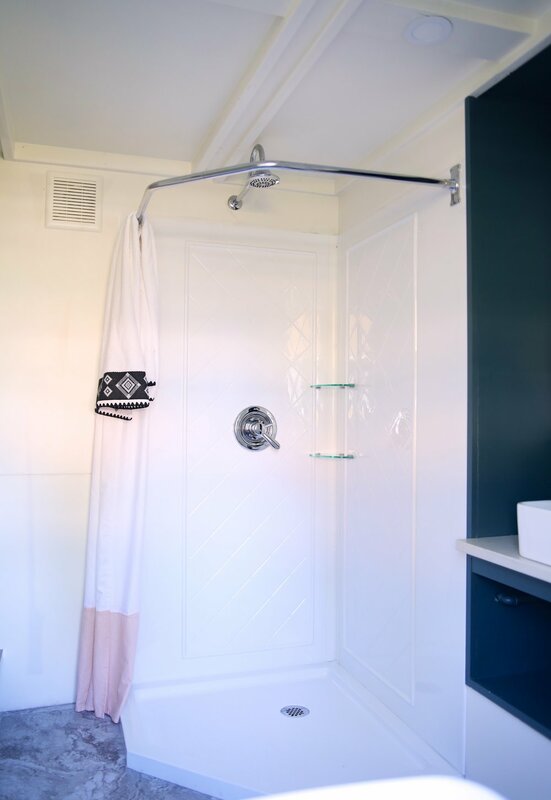 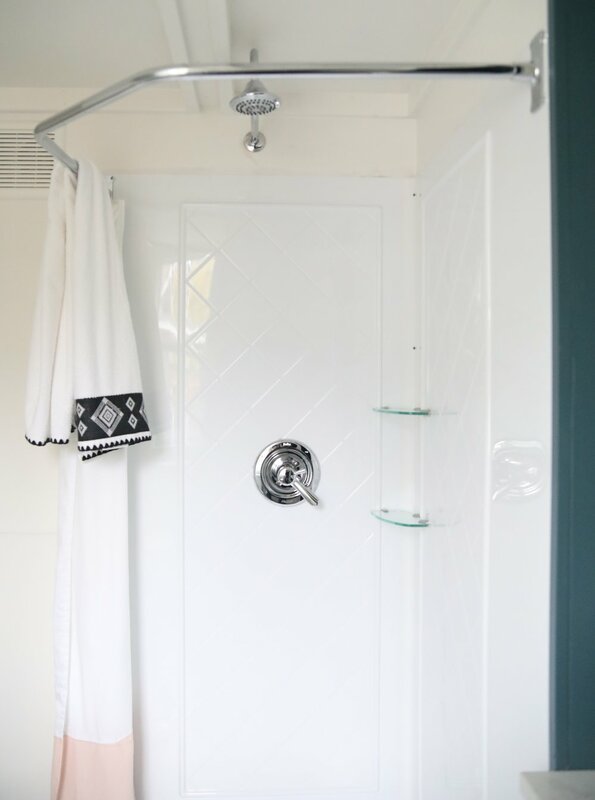 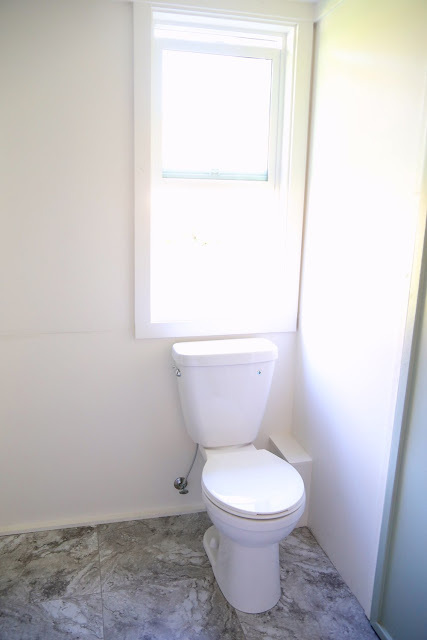 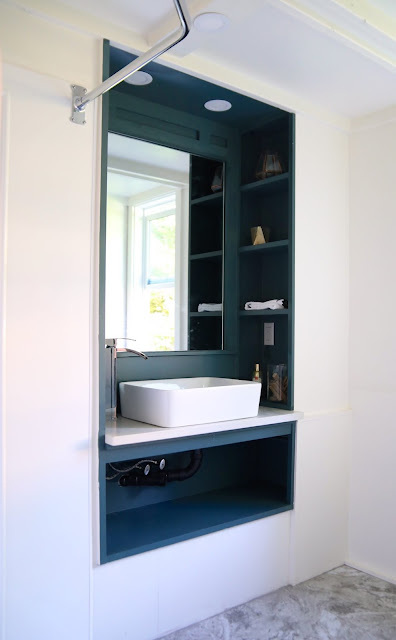 The bathroom of the Pacific Harmony features a 38” x 38” neo-angle shower stall, an energy efficient flush toilet, and a quartz bathroom vanity with a vessel sink and built-in storage! 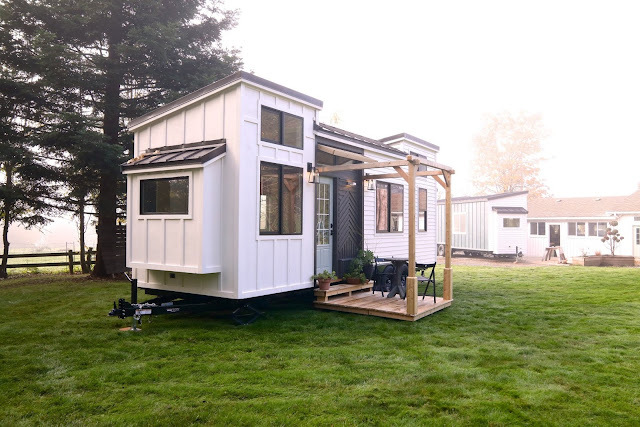 The Pacific Harmony is currently available for sale in Battle Ground, Washington, for $81,000. 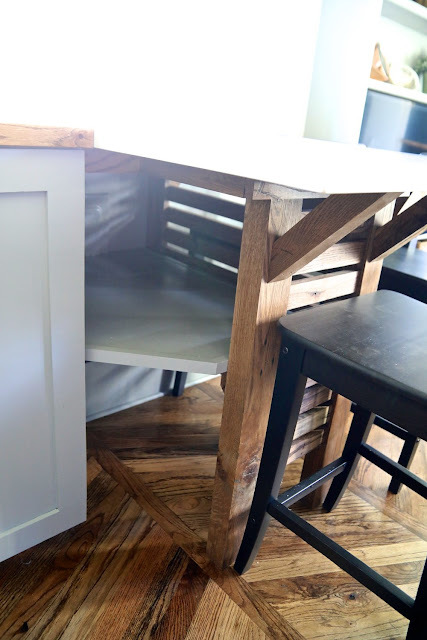 For more information and/or inquiries, please contact Handcrafted Movement here!